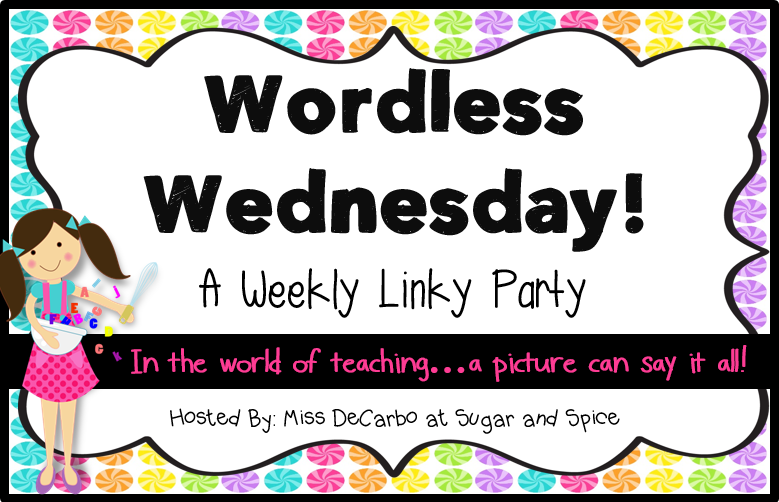 Wordless Wednesday - How will you remember this class? I am so proud of myself for blogging at least three times in one week for the last few. I only have today Wednesday, Thursday and Friday of this week and a full week next week and we are out until September! I can't wait. Each year I created something where my kids used their fingerprints. Last year, I decided to have them all in one place, so I made this. This is after this years class putting their yellow ones on. What do you do to remember each class? 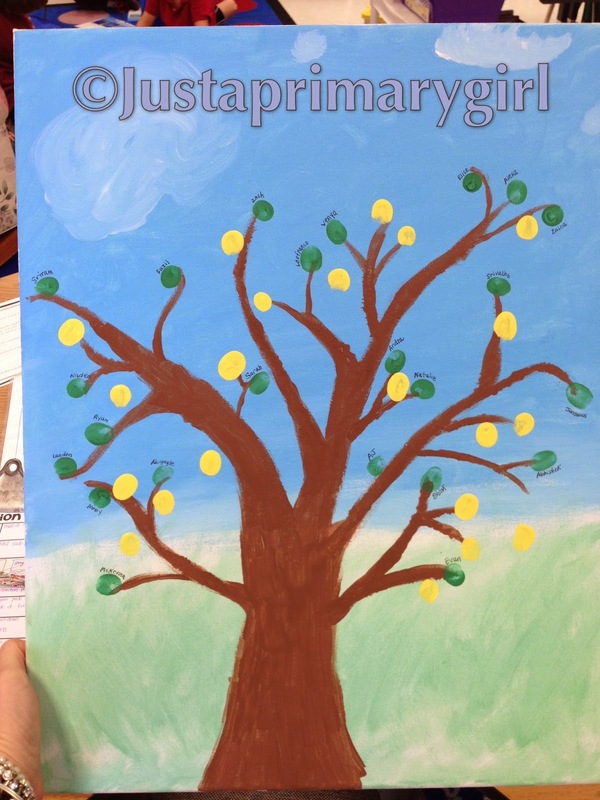 I did a similar fingerprint tree for my leavers who were moving on to their new school last year and gave each of them a copy. We also made movies using funny pictures we took all around the school and added favourite songs from the year. They all got copies to take home. I wish I had kept a tree like yours which I added to each year with different colours. It's a great idea and keepsake (although would be pretty full after 9 years!). Might start one this year. I wish that I could remember all the classes that I've had... 33 of them! I do have class photos of many of them but over the years I've moved buildings several times and items have gotten misplaced. For the past seven or eight years I've been making videos of all the pics that I take during the year. I post the video on my class website so that parents are able to download and save it as well. I love the fingerprint idea! I usually create something throughout the year that helps me remember them. I also create an end of year video/slideshow for the kiddos that they love watching! The fingerprint idea is awesome! I have class pictures of each of the 10 classes I have had, and I keep special things that students give me as a "pick me up" when needed. I have keep a scrapbook of all the years that I have taught so far starting with my student teaching year (1992). (That seems so long ago.) I started out with only doing a two page layout with the class picture on one side and ramdom pictures on the other but now I am doing four to six layouts/pages per year. It is so much fun to go back and look at all the students that I have taught and my students love to look through them also. Great Memories!